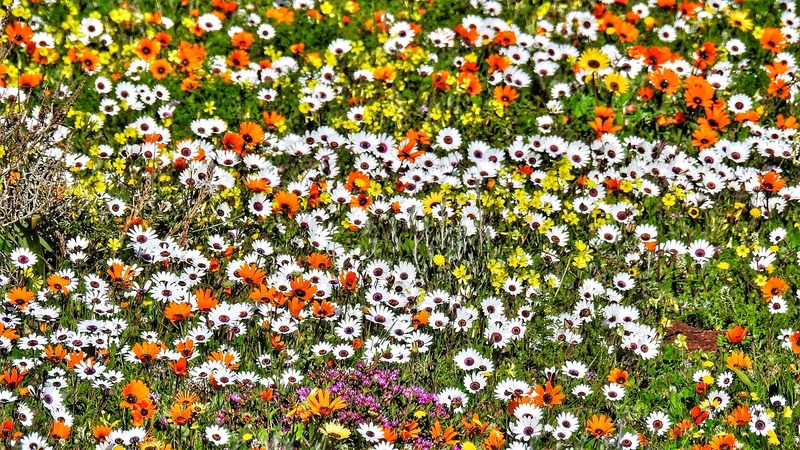 Some people may not know that winters on the West Coast of South Africa have many highlights, one of which is a special period where the ground is carpeted in purple, orange, white and yellow stretching out as far as the eye can see. This patchwork quilt is made up of seasonal wildflowers that bloom after the first winter rainfalls. The flowers aren’t guaranteed every year and it’s never at the exact same time either, which makes it a special treat to look out for. They can be expected any time from July to September. 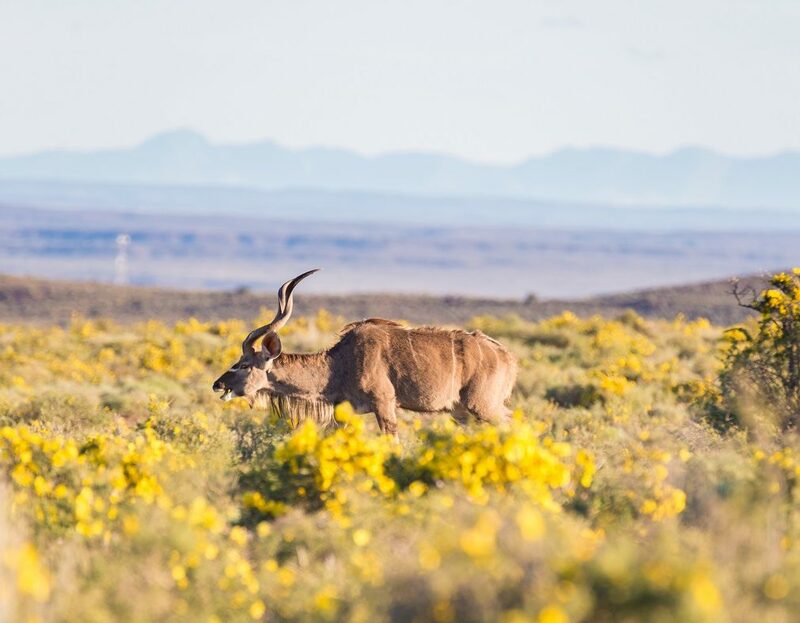 This year, the rains were abundant and the flowers are expected to make their appearance in July, a bit earlier than usual. Healthy rainfall also makes for a healthy wildflower bloom so this winter promises to be a special “blommetjietyd” (flower time). To see the flowers it’s only a 1-2 hour drive up the West Coast Road, making it a perfect day trip or even a wonderful weekend break. A lot of the scenery is on private farms where you would need permission to go off-road and walk amongst them but photo opportunities from the road are plentiful. 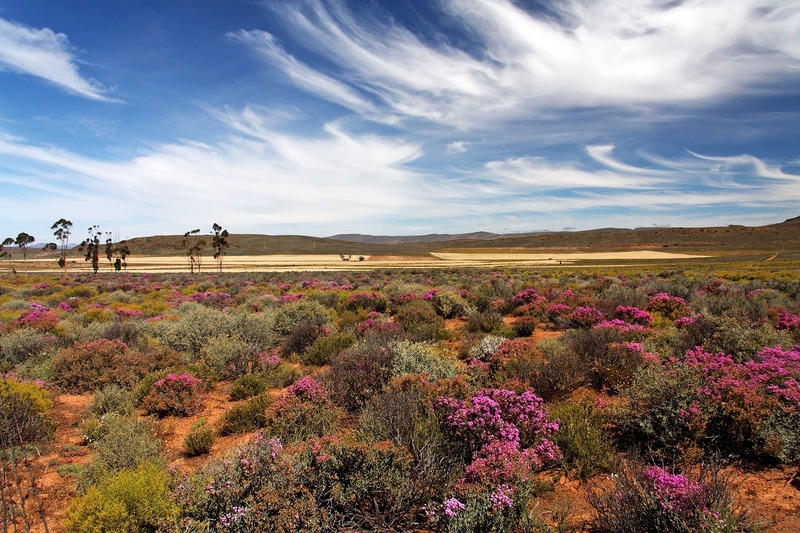 Alternatively, you could visit West Coast National Park or Darling Renosterveld Reserve to wander amongst the daisies. If you book a stay at a farm cottage or guest house then you can even have a picnic or a flower power photo shoot that will make your Instagram followers green with envy. Just note that the flowers bud open to soak up the sun so they won’t be very visible on overcast days. The West Coast has a variety of attractions besides the beautiful wildflowers, the charming coastal town of Paternoster has picturesque whitewashed houses with blue shutters and is known for excellent restaurants and water activities. Further up the coast is the surfing mecca of Elands Bay with its perfect left break and which is actually best in winter, and beyond that is Lambert’s Bay home of the renowned rustic open-air seafood buffet restaurant Muisbosskerm, and if you keep driving you’ll eventually reach Namibia!